Ahoy there Sewalongers! This week things start looking real good… and today we’ll be getting the bulk of it done and making up the bodice of the Elisalex Dress, sleeveless. 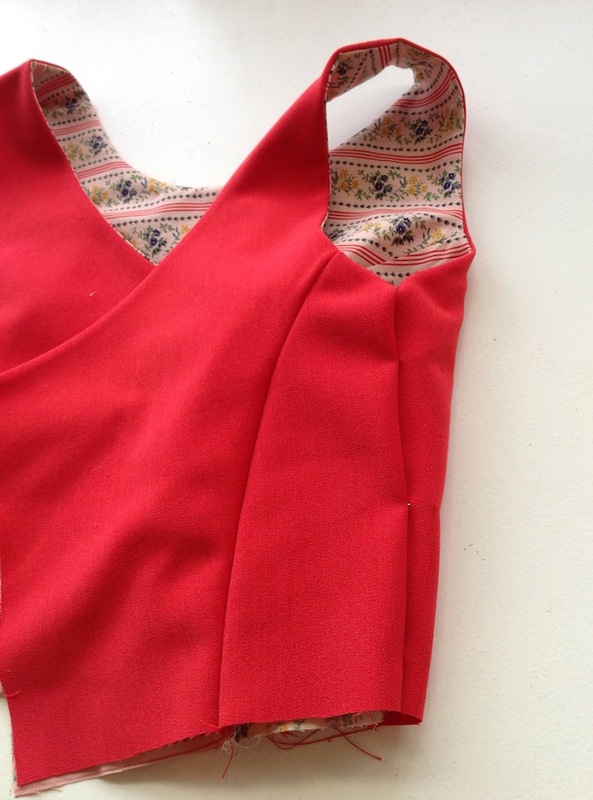 For those of you making up the dress with sleeves, your bodice post can be found here. If you are making the Reversalex (and excitingly it seems that a lot of you are! ), this is the bodice post you need to be following. The sleeveless Elisalex bodice is reversible by nature, in that it is finished flawlessly and there are no visible seams or raw edges. 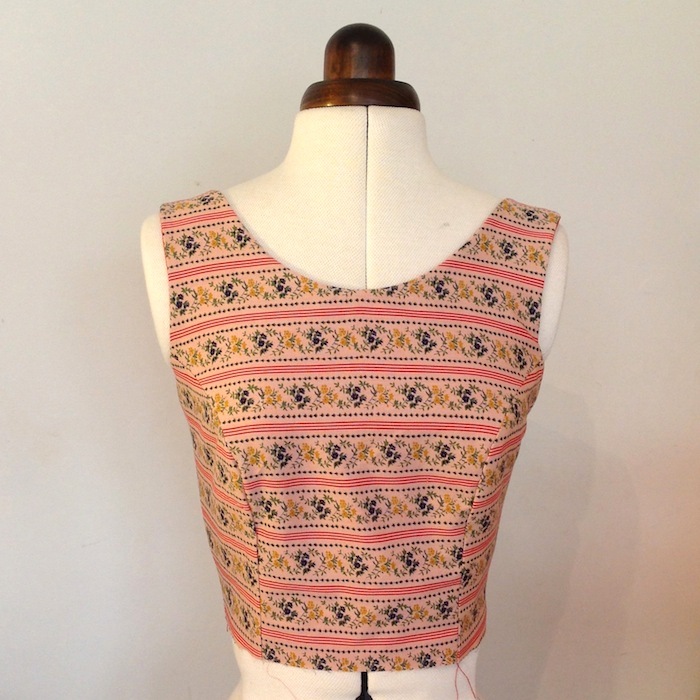 When we refer to the lining in this post, that's really just the flip-side of your reversible bodice. So assuming you’re not too traumatised by the FBA post last week, let’s start sewing! We’re going to start by joining the Side Back panels to the Centre Back pieces. Princess seams (the rounded seams on the bodice that hug our curves creating that beautifully feminine shape) can be a little fiddly at first, getting the hang of easing the two rounded edges together. The back pieces are much easier, so let’s start with those! 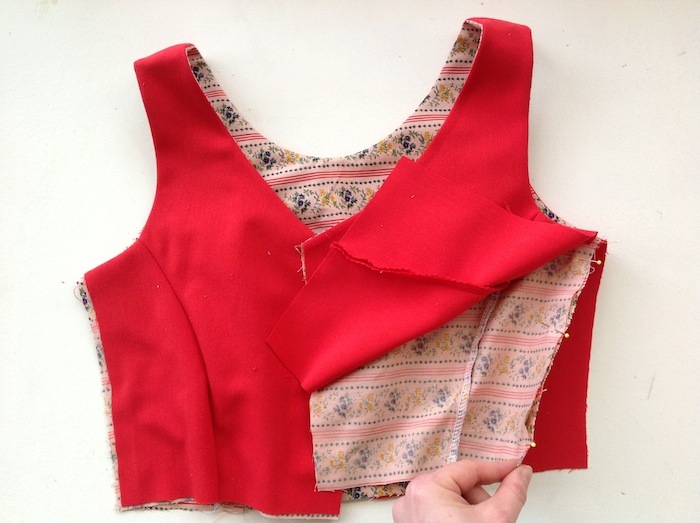 Gather your Bodice Back pieces – 2x Centre Back & 2x Side Back panels, and a bunch of pins. 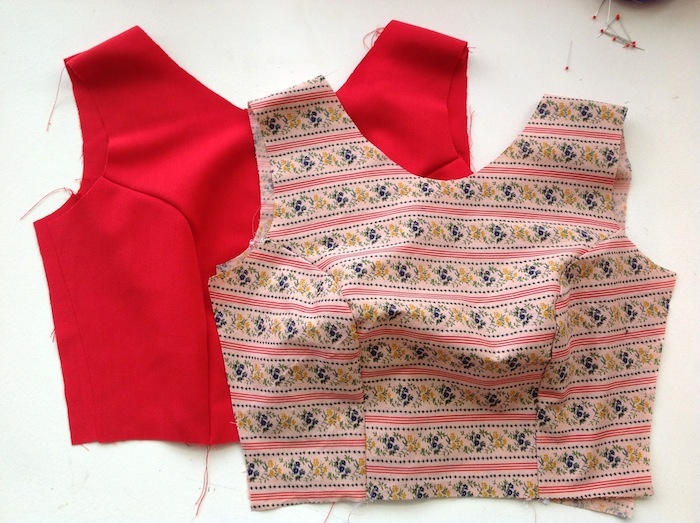 With right sides together, place the Side Back panel onto the Centre Back piece and begin pinning the curved edges together from the waistline, matching the notch and underarm. 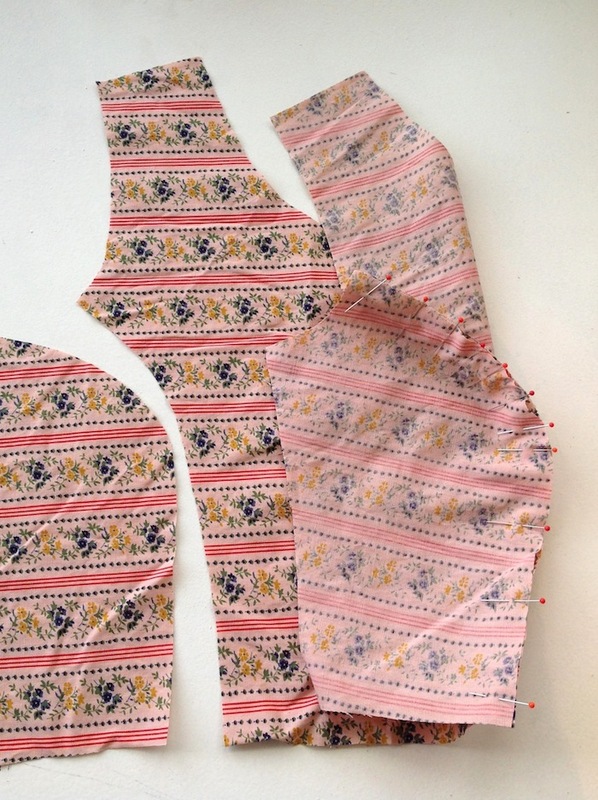 Stitch into place, remembering the 5/8″ or 15mm seam allowance. Don’t forget to backstitch at the start and finish of your line of stitching! Press towards the side seam. Repeat this on the other Centre Back piece, and finish your seams either by overlocking/serging or trimming the excess seam allowance. Now we’re going to do the exact same thing to the front pieces. This will be a little trickier as we have a more dramatic curve to ease in. Pin the Side Front panel to the Centre Front piece, right sides together, matching waistline, notches and underarm. At this point, the more pins the better! A good way to do this is to first pin at the waistline, then at the notches and underarm, then keep filling in the gaps with more pins! Carefully stitch into place. Repeat for the other panel, press seams towards the side seams and finish excess seam allowance. Hard part over! 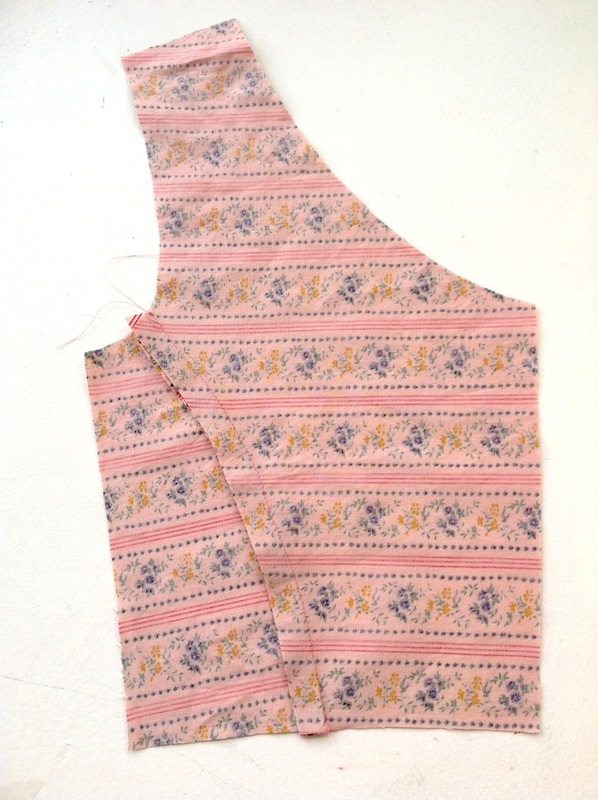 Now, with right sides together, pin the Bodice Front to the Bodice Back at the shoulders. Stitch, press open, finish excess seam allowance. 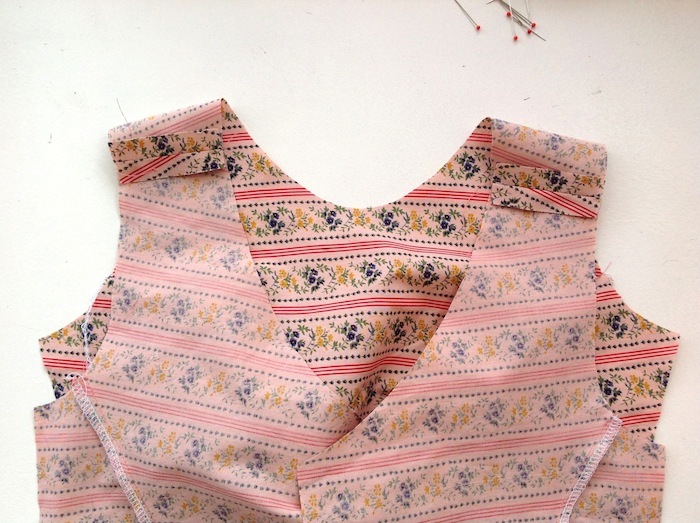 Repeat Steps 1-3 for the Bodice Lining - DO NOT CLOSE THE SIDE SEAMS! This is where things differ from the construction of the Elisalex Dress bodice with sleeves... First, we're going to join the bodice and the lining, and then we turn it all out to the right side and close up the side seams at the end. Confused? Don't worry. It's totally straight forward and you'll end up with a flawlessly constructed, reversible bodice. 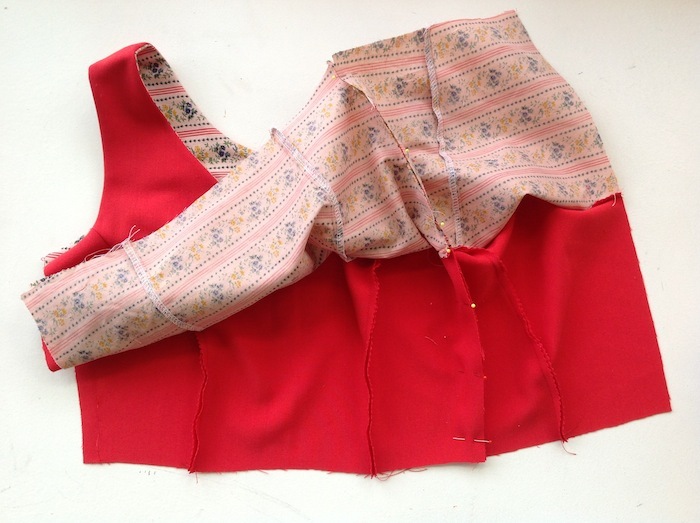 Lay out one of your bodices flat, right side up. 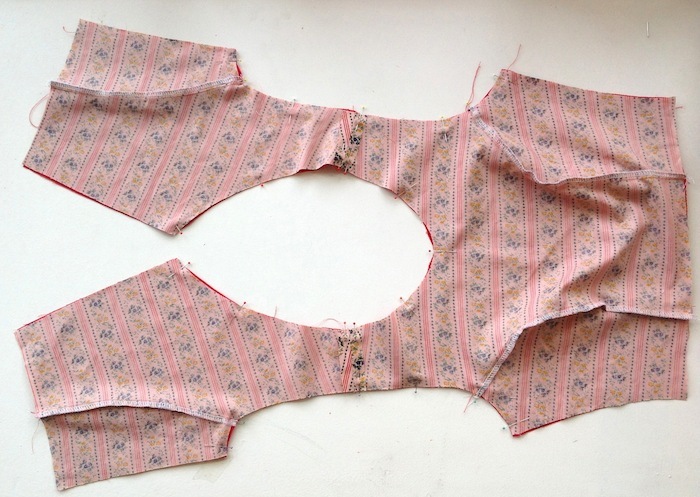 Now lay the other bodice directly on top, right sides together. 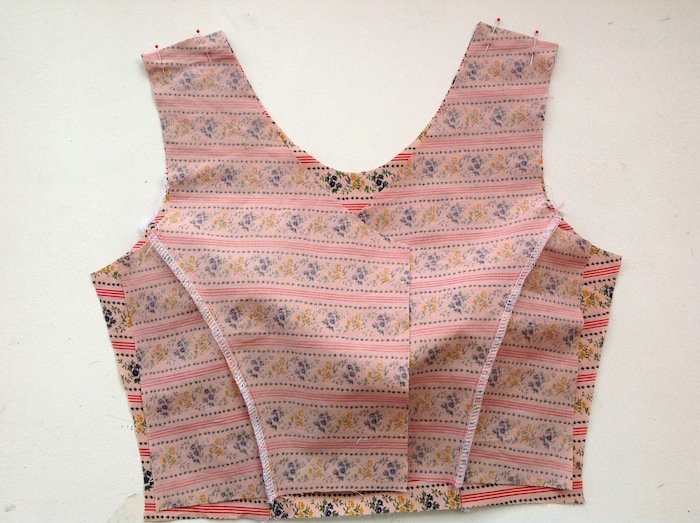 Pin the two bodices together along the neckline and armholes. 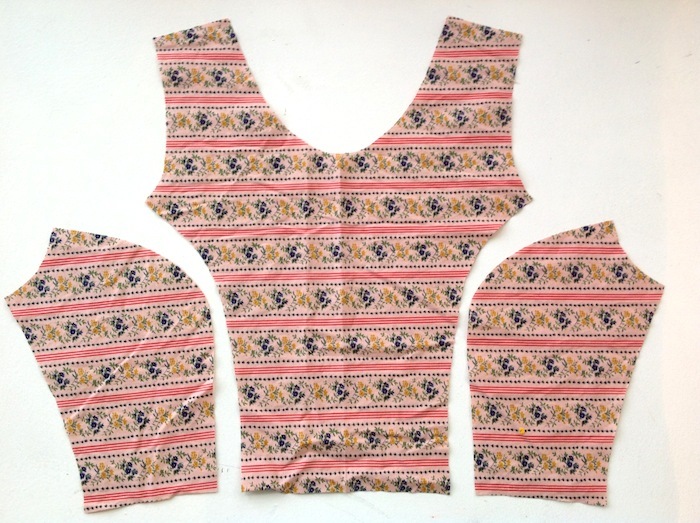 Stitch along the neckline and armholes. Snip the curves or trim the excess seam allowance. Now (and it was impossible to take a clear photo of this process so bear with me...) carefully pull the back pieces through the shoulder straps and out of the front piece to turn your bodice to the right side. 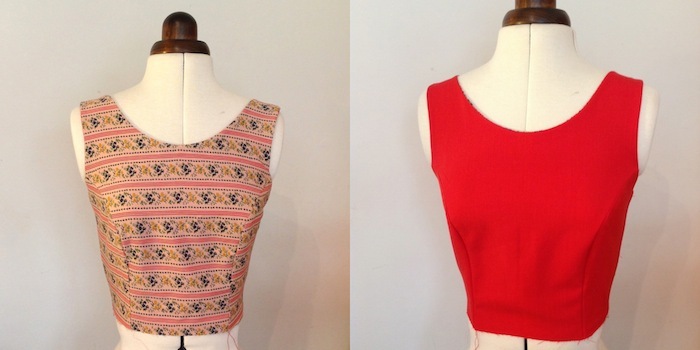 Press the neckline and armholes. How the f*** is this gonna work??? we hear you cry! OK, lay down your bodice, side seams together. Start by pinning the side seams (right sides together of course!) of one face of your bodice, from the waistline up to the underarm. When you're happy, stitch into place, being extra careful that your underarm seams match as perfectly as possible. Press the seam open, finish the excess seam allowance and repeat on the other side. And look! 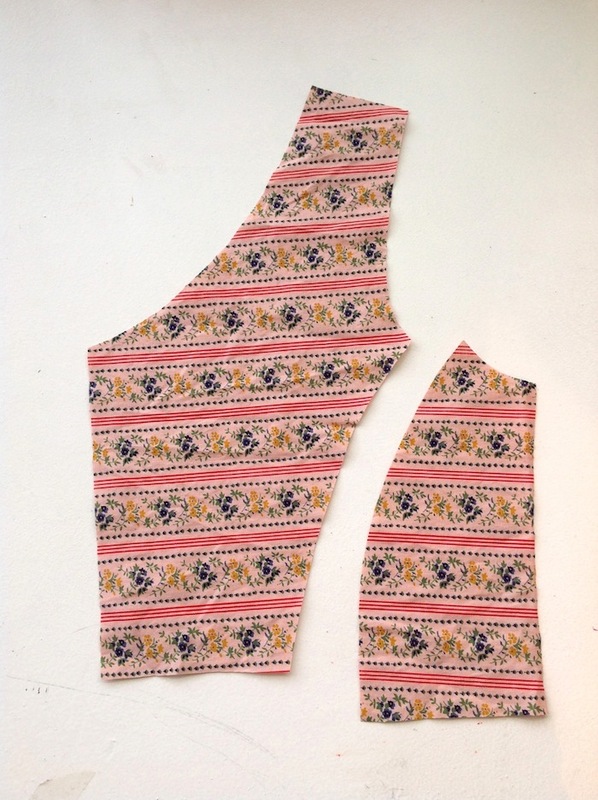 A reversible sleeveless bodice! And that is that for today guys! 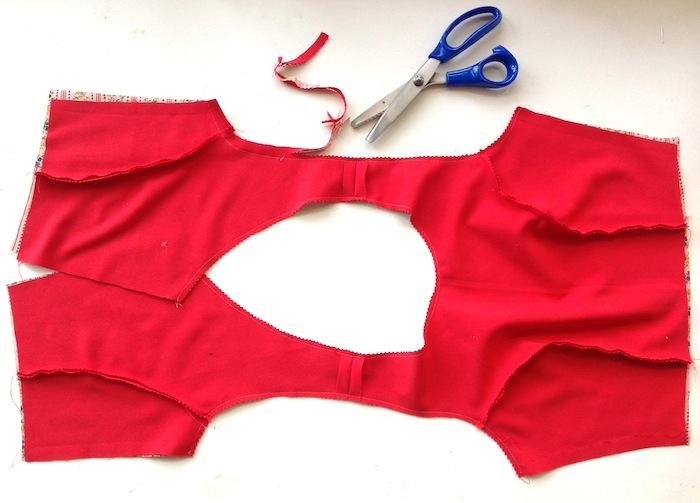 Before we go into the construction of the tulip skirt, we’ll be back soon with a little tutorial on how to add side seam pockets – not just to the Elisalex Dress, but to pretty much anything with a side seam! Until the next time, ciao for now! Hello! I’m sewing elisalex but can’t seem to match the two sets of notches of the centre front & side front pieces for the bodice? How is it possible that they both match but the gap between the two notches of the side front piece is way bigger than the gap between the notches of the centre front piece?? What am I missing? Haha. Thank you in advance! Thank you so much!! I have a wedding in about 5 weeks, and I can’t find a nice dress. I took it upon myself to buy a great pattern, without even really noticing the princess seams. I’ve never done a princess seam before. Your blog brought me through it step by step, in a way the pattern couldn’t. My seams look perfect, and I really really appreciate your help. Thanks a million from Ireland. 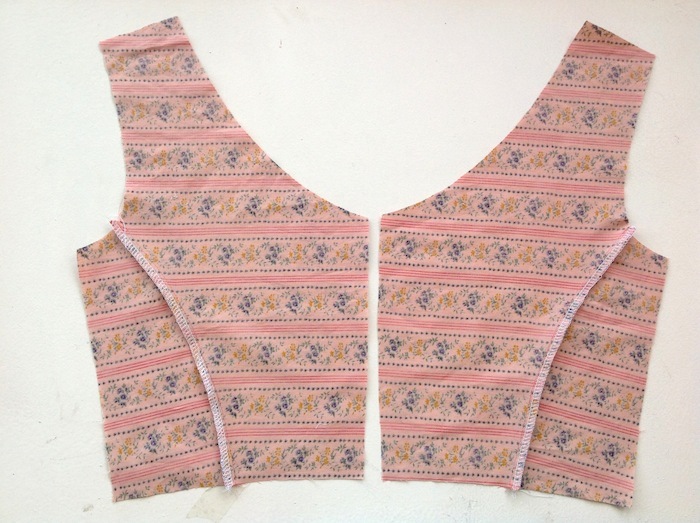 I am baffled by the understitching of the neckline and armholes at the same time-how can I achieve this without sewing into the material of the bodice? I understand how I can do it to the neckline, but how is it possible to then do on the armholes. Is that possible at all? 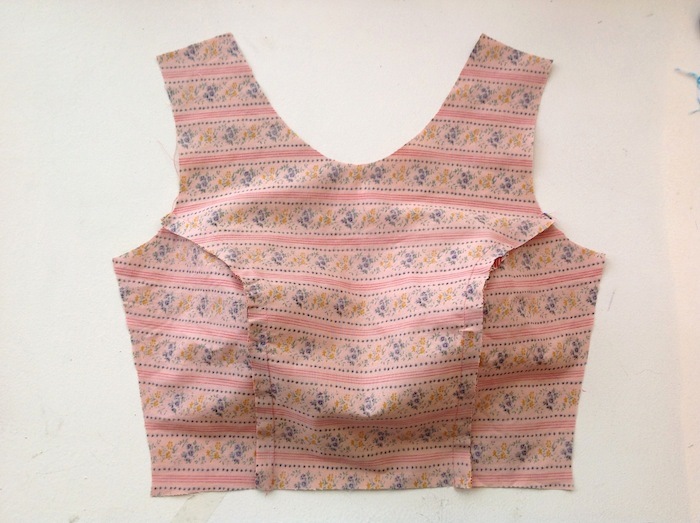 Thank you for sharing :) I am a beginner and not sure how to sew side seams of lining and bodice,I understand how to pin to sew the sides but it looks like a V shape,do I sew this as a V shape? or do I sew a curve? if I sew lining side seam and continue stitching onto outer fabric should I curve as I get to armhole seam? This was a great help to me I had forgotten how to assemble the bodice. Thank you much appreciated. 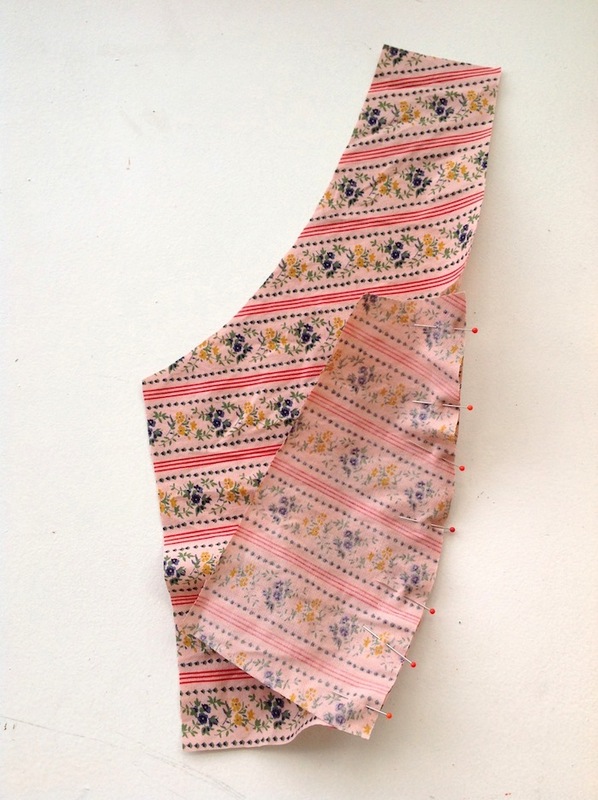 Hi Nicoletta, yes indeed – we use a standard 5/8" seam allowance on our patterns unless otherwise stated. I am sewing Elisalex and following this sew-along as instructions. 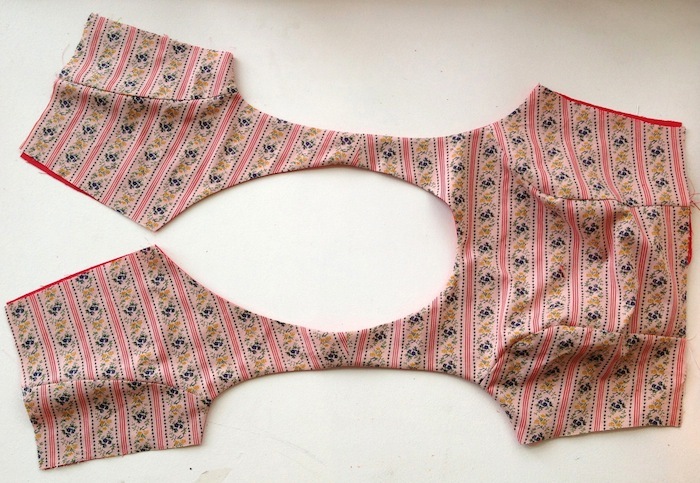 When I sew the main fabric and the bodice, do you use the standard 5/8" seam allowances? Maybe it is a stupid question, but I want to be sure. I’m working on a toile for the bodice of the Elisalex dress. I feel like the neckline is a little high on me and I was wondering if it would work out OK if I changed the front neckline to more of a V-neck. Will that mess up the princess seams? Thanks!! I’ve had a number of fit issues. First the skirt is so long it comes almost to my ankles, I cut off quite a lot before cutting my fabric but it’s still way too long. At 5’2" I’m a shorty but even so, the length seems quite excessive. The photos shown and the illustrations give the idea the skirt finishes below the knees, that’s a lot of wasted fabric! I measured myself and cut out the appropriate size. The bodice is too tight at the waist and the bust, the neckline is too wide and I have this weird gaping happening at the back neckline. Oh no, sorry to hear you’re having such issues! Firstly, the skirt is designed as given on the pattern paper to be about mid length, but of course we all vary so much in height so as we mentioned in the first post I think it was, I’ve cut my skirt to be 24" long – which for me at 5’4" is the perfect just below the knee length. The skirt’s length is entirely open to interpretation so it’s really up to the individual and their height/length preference to decide and measure out their ideal length. Secondly, I’m not quite sure what’s going on with your bodice… Maybe you could email us – elisalex@byhandlondon.com – some images to give us a better idea, and therefore we’d be able to give you a better diagnosis! If the waist and bust are too tight, it seems you might want to double check your measurements against our sizing chart. If the back is gaping and the neckline is too wide, do you usually find that you have narrow or sloping shoulders? It’s a bit tricky to explain without having seen images yet, but a wonderful book if you find you’re having fitting issues with sewing patterns is Fit For Real People (pages 160-165 in particular for shoulders). But by all means, please feel free to email across some images if you find you’re having difficulty fitting the bodice and we’ll do our best to give you some advice! Good luck and hope it works out!! 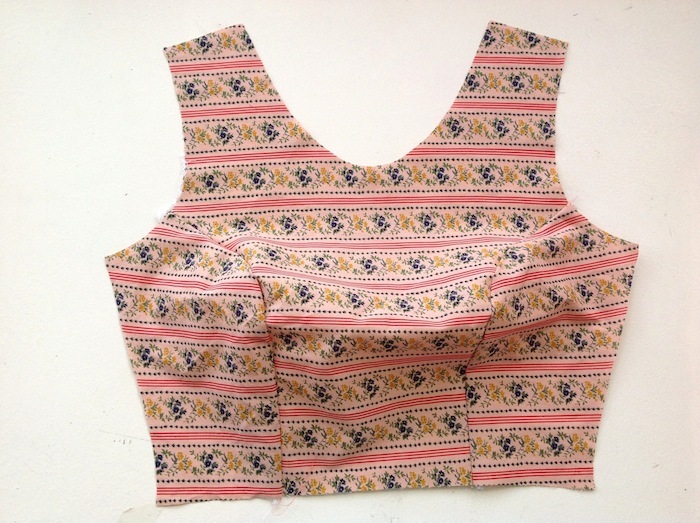 I was really struggling to imagine how this would work but it’s amazing – it’s the neatest thing I’ve sewn so far! I should have done a toile first as the bodice could have done with being a bit longer but that was my own impatience to get started with my fancy fabric. The tutorial has been great to follow so far – thanks! whoa! yeah! how the f*** is this going to work!? I have my fabric, its almost as cute as yours! cant wait for things to slow down so i can really focus on this and get it beautiful!